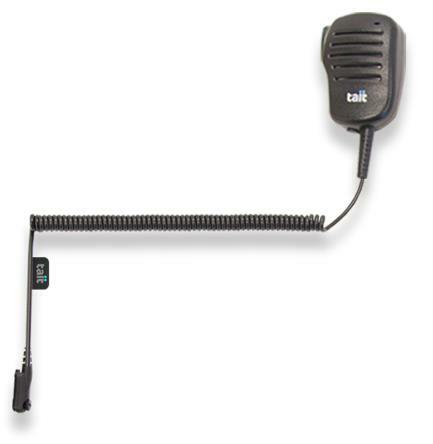 The TP3 can take advantage of the same audio accessories as the Tait TP8000 and TP9000 radios. 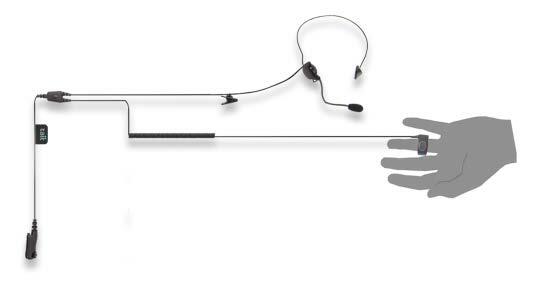 Many audio accessories are interchangeable between products featuring the Tait Accessory Interface. This does not apply to data accessories, however. The TP3 uses a direct USB connection, unlike the serial interface of the TP8000 and TP9000 series products. TP3300/TP3350 radios support TDMA operation. 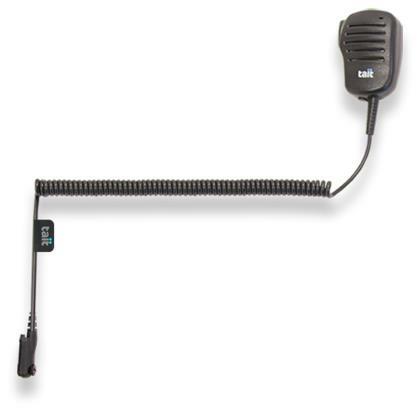 Tait recommends the use of Tait TDMA audio accessories with these radios. Tait TDMA audio accessories have “TDMA” molded into the radio connector. Tait TP8100 audio accessory adapters should only be used with TP3300/TP3350 radios in analog mode. Setting a higher volume is obviously helpful, but this can be tricky if frequently moving from outdoors to indoors. 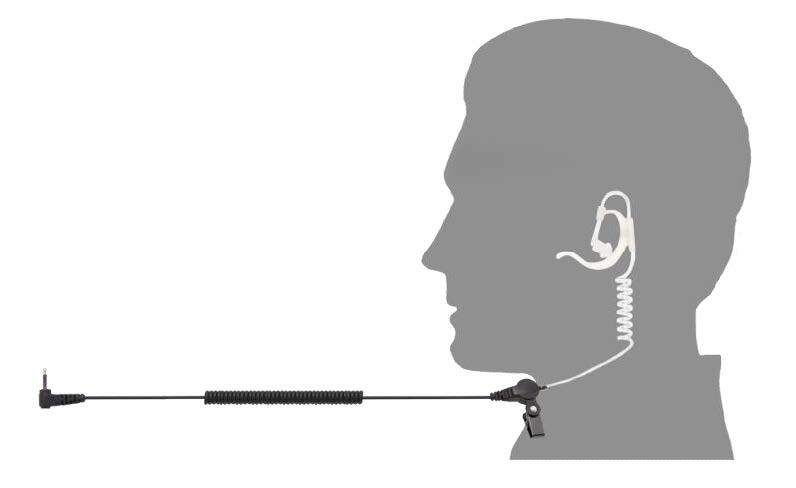 We recommend the use of in-ear accessories in these circumstances. Will the radio be worn on the belt or in a jacket pocket? Wearing it higher is better – it’s easier to hear and better for the radio reception. 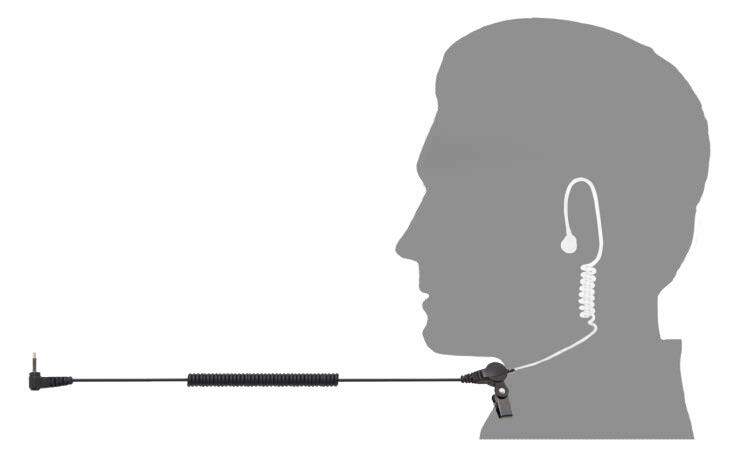 Consider using a speaker microphone that can be worn on the shoulder. 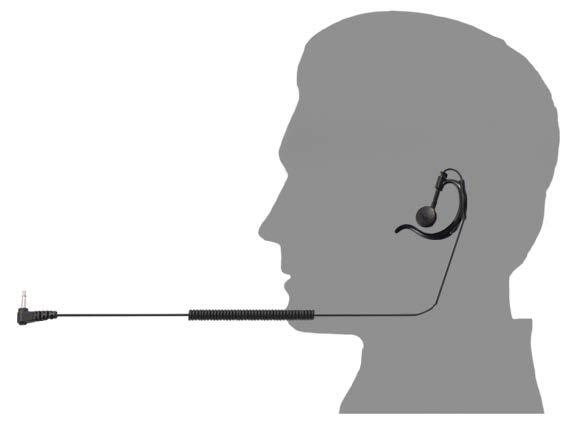 Wired in-ear accessories also help to assure all calls are received. Confidential Calls? You do not want private calls going out on a loud speaker. If you expect calls of a private nature, then an in-ear speaker should be used. If you do not want people to know you are transmitting, then a discreet finger-worn PTT could be used. 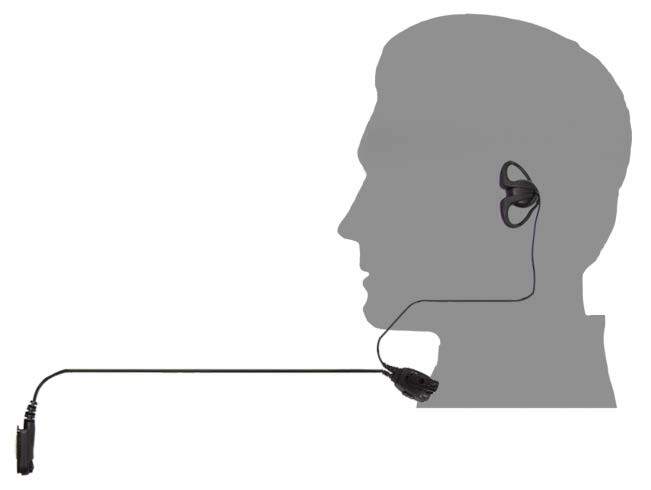 If staff are to wear in-ear speakers, avoid hygiene concerns by issuing them, instead of sharing. Wired or Wireless? 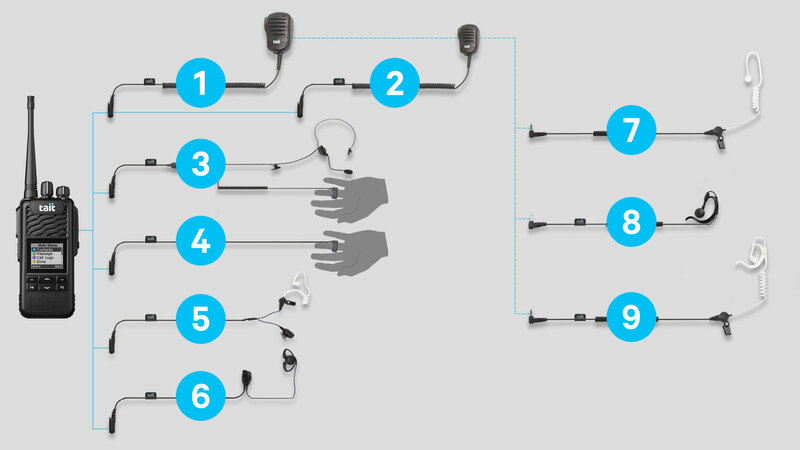 Third party audio accessories can be connected. However, it is often tricky to get reliable pairing, and PTT operation over Bluetooth® can be troublesome. In this case, the radio’s own PTT button can be used to initiate calls – or a wired finger-worn PTT can be used. Please click or tap the number on the accessory below to view more details. 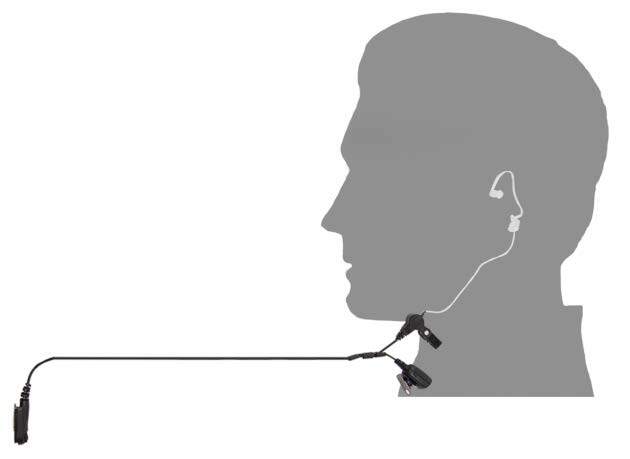 Designed so the wire can be fitted through clothing – from the radio up to shoulder and then down sleeve to the hand.